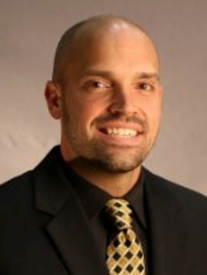 Jeff Stur, a 1998 Bishop Noll Institute graduate, has been appointed BNI’s director of admissions. He succeeds Nancy Repay ’85, who was named principal at St. John Bosco School in Hammond. Stur joins the Bishop Noll administrative team after two years as director of communications and development for Catholic Charities in the Diocese of Gary. “I am beyond excited to return to my alma mater and give back to a place that provided me with amazing memories and laid the foundation for all the success I’ve achieved,” Stur said. “As we approach Bishop Noll’s centennial celebration, I truly believe there are many great things on the horizon for the Noll family. Both of Stur’s parents, his two sisters and numerous extended family members also are Bishop Noll graduates. A graduate of Marquette University with a B.A. in public relations and a minor in marketing, Stur spent 10 years in the professional sports industry, formulating and executing successful P.R. and marketing campaigns. He worked as director of communications for Chicagoland Speedway and also at Edelman, a leading global communications marketing firm for which he served as the liaison between three-time NASCAR Cup champion Tony Stewart and Stewart’s primary sponsor, Office Depot. Stur, who is nearing completion of his master’s degree in management at Calumet College of St. Joseph, also spent three years as director of operations for the University of Southern Mississippi women’s basketball program. His duties there included marketing, promotions, media and community relations, scheduling speaking events and managing the team’s travel logistics and entire budget. He also was involved in the team’s recruiting process, summer camps and assisted in monitoring the players’ academic progress and community service. In high school, Stur played four years of basketball and baseball for Bishop Noll. In baseball, he was part of two teams that advanced to the regional championship. He also served in the 2017 and 2018 seasons as an assistant baseball coach for the Warriors, who won sectionals both years.